It is a reaction of the Phosphoric Acid contained in the coca cola to the milk. Phosphoric Acid molecules attach to the milk giving them more density and separate out while the remaining liquid that makes up the milk and cocoa cola now being lighter floats on top. The solid matter is basically milk that has been curdled by the addition of the more acidic soda. There are some studies to suggest that because of the high Phosphoric Acid content in most soft drinks that they can help to increase the likelihood that a person will develop Osteoporosis if they aren't getting enough Calcium in their diet. Coca-cola makes an excellent household cleaner - it can be used to take tarnish off of pennies and I've used it to degrease car engines. I will not drink any soft drinks. Oops, it looks a little bit gross. 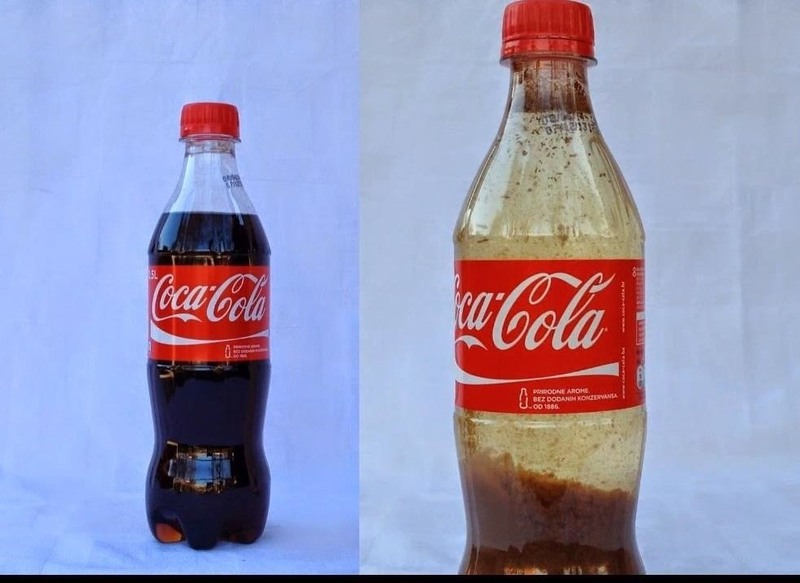 Step 1: What Happans When I Mix Coke Cola and Milk? hello, may i use this idea for my science fair project. im in 8th grade? Its a good idea my fellow classmate didi this and im in 7th grade. just be sure to use the pop bttle and close the lid! I don't see why you wouldn't be able to use it. You can do the same thing with lemon juice. The precipitate when using lemon juice has another name: Ricotta cheese. Why does this not work when using an open container? We did this and it didi not work and i don't have a clue why and no one replied to my comment so yeah i don't know what i did wrong someone please tell me why this happened!!! what type of reaction forms?? endothermic or exothermic ?? So, I found this lab, because my teacher wanted me to look for a lab that could answer these questions . Can an acid turn into a base? Can a base be turned into an acid? Can an acid be neutralized? I hope that this lab will help me with these questions!!! !